November 11th: HARFORD DISTRICT CUB FUN DAY @ Camp Oest! We invite all Cub Scouts to come out to Harford District Cub Fun Day! It will be a day of Rocket Launching, BB Guns, Archery, Nature Hikes, and other sorts of Fun! This event will be a self guided 'open house' throughout Camp Oest. Participants will receive a Patch, 2017 Cub Scout Fun Day Guidebook, and a day of FUN! This event will be FREE for any new Cub Scout that joins between August 1st and November 12th. 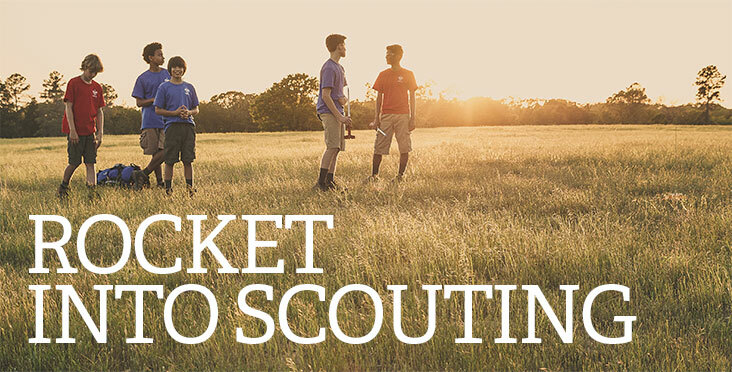 New Cub Scouts should bring their "Rocket into Scouting" Model Rocket for launching. A Model Rocket Engine will be provided at the event. Registration closes on Sunday November 6th, 2017. Please select the Register Button below.